Disney has released a new trailer for Christopher Robin which shows us more of the film’s story. Christopher Robin stars Ewan McGregor in the titular role, Haley Atwell as his wife, Evelyn, Bronte Carmichael as his daughter, Madeline and Mark Gatiss as Keith Winslow, Robin’s boss. The film also features the voices of Jim Cummings as Winnie the Pooh, Chris O’Dowd as Tigger, Brad Garrett as Eeyore, Toby Jones as Owl, Nick Mohammed as Piglet, Peter Capaldi as Rabbit, Sophie Okonedo as Kanga and Wyatt Dean Hall as Roo. The film is based on the characters created by b A.A. Milne. 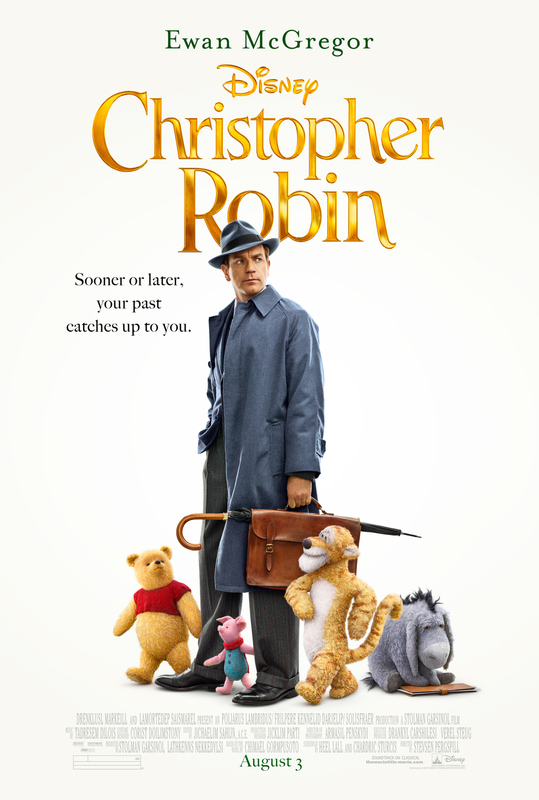 Christopher Robin is directed by Marc Foster with a screenplay by Alex Ross Perry and Allison Schroeder and story by Perry. Disney also released a new poster for the film. Christopher Robin will release on August 3rd, 2018.